The Morley clutch in maroon is inspired by the romance to be found in our skies. 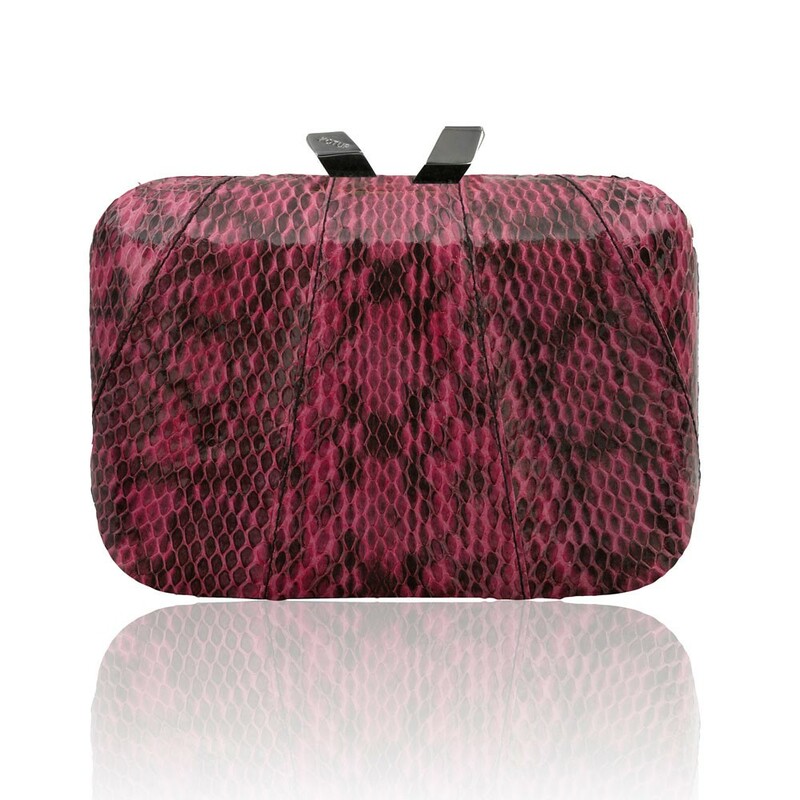 It features a brass box case covered with elaphe snakeskin, KOTUR's signature double rock magnetic closure, brocade lining and a 30 cm drop-in chain. The compact shape fits your essentials, including your iPhone 6.